An Old World species, occasionally found in North America. First collected in disturbed ground at Bay City (Bay Co.) in 1895; see Cusick (2002) for more recent collections. The flowers are said to be fragrant and visited by insects. MICHIGAN FLORA ONLINE. A. A. Reznicek, E. G. Voss, & B. S. Walters. February 2011. University of Michigan. Web. 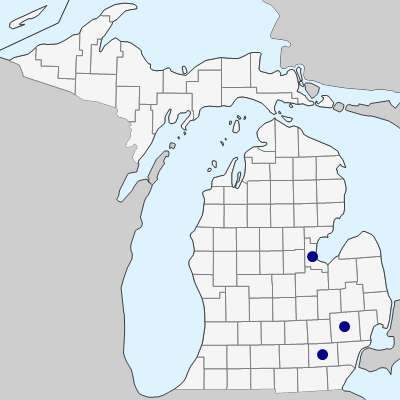 April 24, 2019. https://michiganflora.net/species.aspx?id=1967.